In order to continue enhancing our worship at All Souls, the participation of adults, youth, and children in our worship ministries is critical. Assist the priest during the worship service, and carry the cross and gospel book in procession. They serve to make our liturgy ageless and beautiful! Being an acolyte is a very important ministry: any person over the age of nine (9) is encouraged to participate! Is responsible for preparing the altar, caring for linens, and preparing communion bread for Sunday and special services. If you enjoy baking, you are welcome to be one of the bread bakers. Kerry Court is the Choir Director and Organist. The all volunteer choir sings during the regular weekly and special services. A variety of music, from traditional to contemporary, is used. The choir practices on Sunday mornings following the worship service at the Atlee House. Special musical ability is not required in order to participate! Voices of all ages are welcome and encouraged. Instrumentalists are also encouraged to participate not only during special services, but also during the weekly Sunday services. Lay Readers read the lessons and lead prayers at each service. 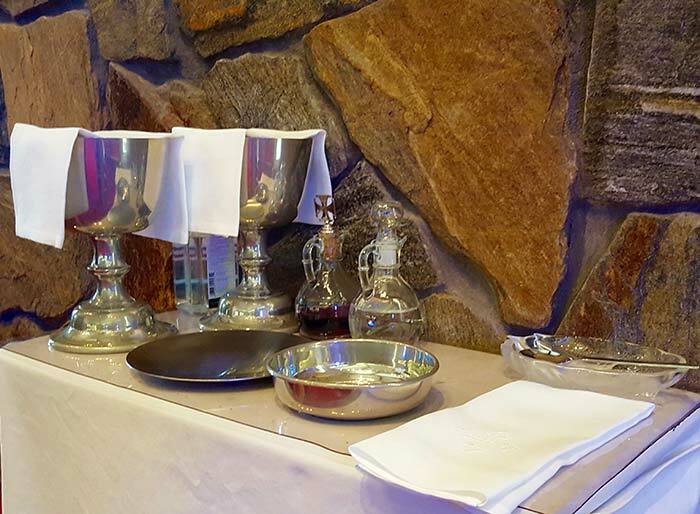 The Lay Eucharistic Ministers assist at communion by serving the wine. The Lay Eucharist Visitors take communion directly from the worship service to those in who request it, bringing the All Souls’ community to those who cannot attend church on Sunday morning. Both the LEMs and the LEVs are licensed by the Diocese of Virginia. Play an important part in the worship experience. Working in teams, ushers assist by making those present feel welcomed, guiding people during communion to the altar rail in an organized fashion, help with receiving the offering, and making sure attendees have bulletins and prayer books. Members of this team greet members and newcomers upon their arrival at our Worship services, assisting with name tags, handing out bulletins, answering questions, and distributing publications concerning current church activities. Team participants rotate on a weekly basis.